Catherine Constance: Halloween. . .
Love the sweet, stormy drawing. Looks like a windy day ~ hope little purple teddy don't blow away! Ah, cute painting an cute poem too. Lots of fun! 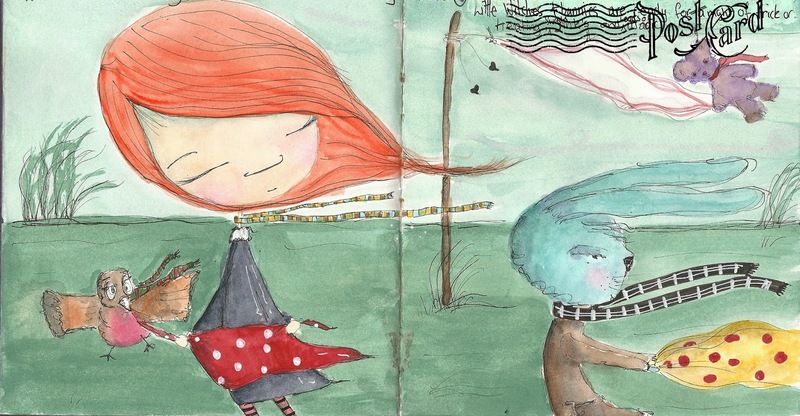 Love the poem and love the painting, especially their wind swept hair and ears. 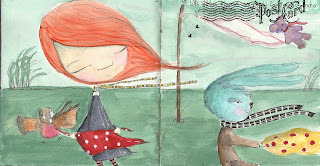 I love the wind blown painting and your words were perfect with it! The painting is beautiful and the poem is great. Good luck with the contest. Love the painting and the cute poem. Nice entry! Oh, this is great! And I love your blog. I just signed up to follow your posts via email. Watching the witches do their chores before Halloween -- what an original idea. I liked the way you slipped a challenging word (stoic) into the poem! Oh, I love this, Catherine! What a fun and adorable poem. Great job! What a cute, Halloween-y poem, Catherine! Very fun! And I LOVE your illustration! Such beautiful work! So glad you found the contest and entered. It's lovely to "meet" you! Thanks for joining in the fun! Such a neat idea to look at how they get ready for Hallowe'en! I love your artwork, it has such a lyrical quality! What a cute story. And the illustration's fantastic! I love the idea of all the witches and goblins getting everything all clean and ready for Halloween! Your drawings are adorable. What a fun entry! I like the image of the witches and bunnies (!) scrub-a-dub-dubbing read for Halloween. Glad you've joined us in the contest! 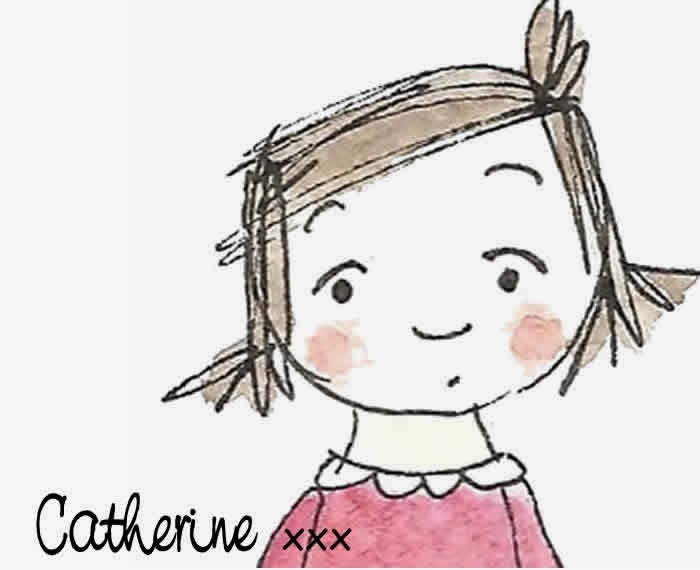 I love your stories Catherine, and this one is no exception! HAPPY HALLOWEEN! I like how everyone gets involved with the party preparations. Cute drawing, too! I like a night of sweets and magic. … a night of laundry … not so much. This is a cute little halloween story! Your lovely sketch matches the atmosphere perfectly! Your words convey the same wind-blown, carefree feeling as your artwork. Very nice! What a fun little collection of rhymes. My favorite line was "Oh it's only Mr. Owl." I love the word-sketch you've done to go with the illustration. Beautiful! 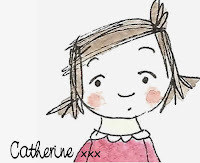 I adore this, Catherine. The painting is awesome. Fantastic job! Fun preparations for Halloween. Cute. . . .and well done!